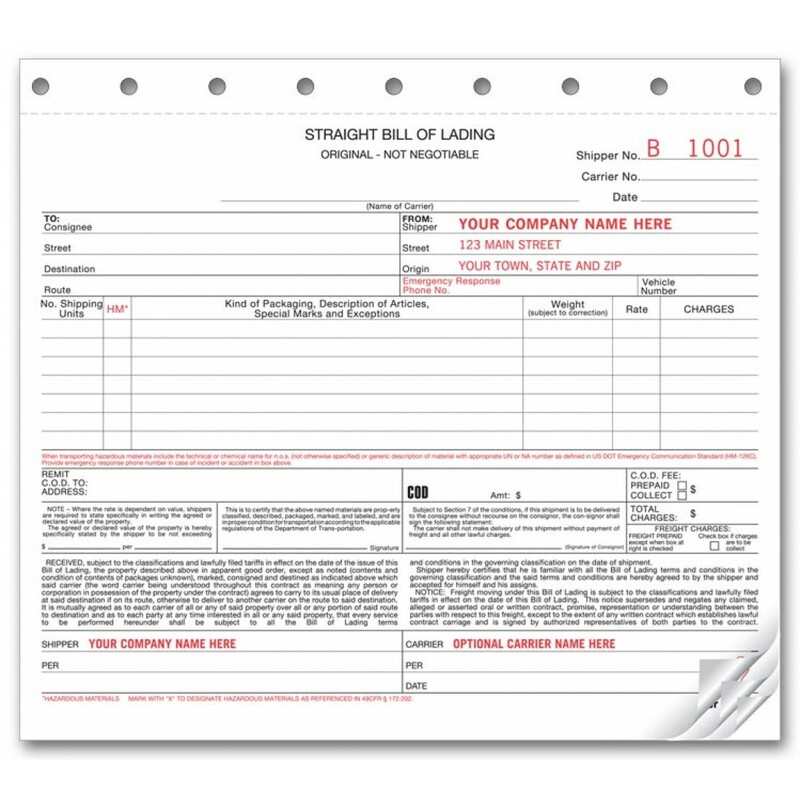 Carbonless Straight Bill of Ladings Forms 5041 At Print EZ. Carbonless Straight Bill of Ladings Forms Item No. 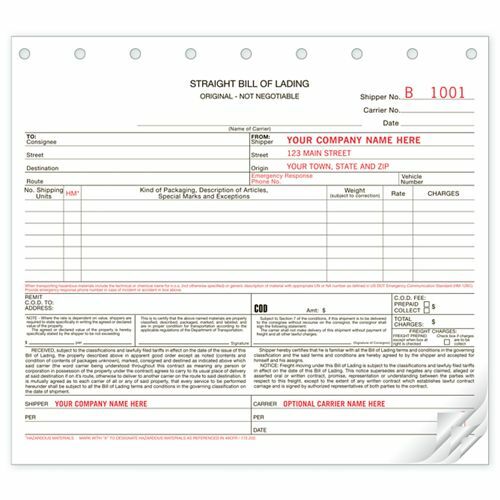 5041 Size: 8 1/2" x 7"
These carbonless straight bill of ladings forms adopt a professional layout that helps to collect data quickly, easily and most precisely. Printed on NCR paper, taking copies of these forms is a cake walk. All the information has been given its assigned slots, so as to maintain a comprehensive appeal. This works very well for those filling out the form as well as the data entry team that has to read these forms and update the information electronically. Developed in keeping with D.O.T and I.C.C regulations these forms come pre-printed with the terms and conditions which covers your interest legally and also gives a clear picture to the client. Service was excellent. I did not see new order yet. was happy with what we bought in past and expect the same. I liked the product I just wish we could have chosen a different color for the font. Great product selection. Easy to navigate the website. Will be using for more products. Fast shipping and excellent communication. 5 STAR service! This product works great for our business. Would Recommend.